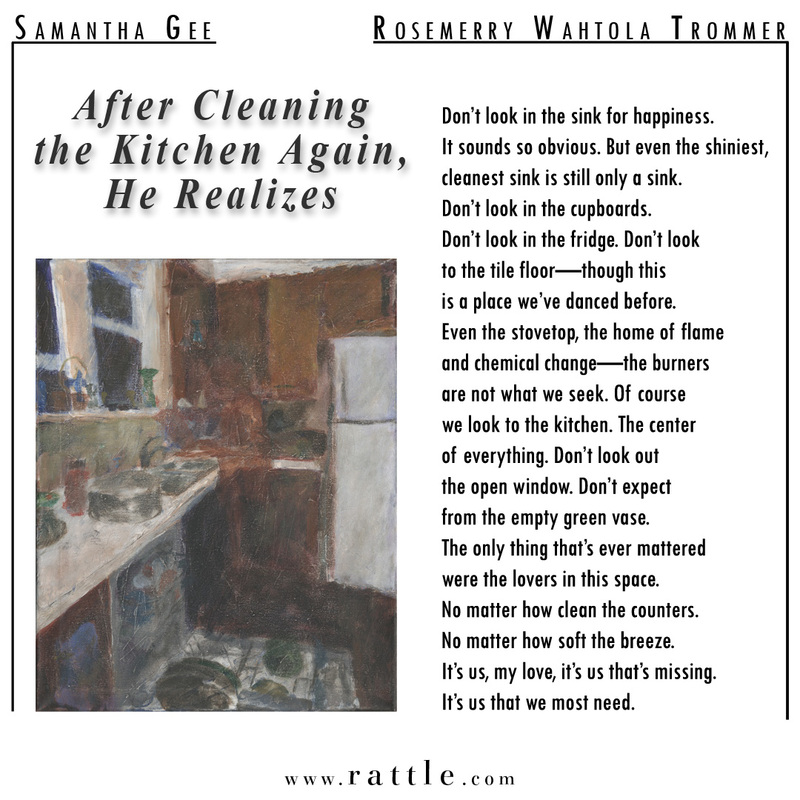 Image: “Portrait of a Kitchen” by Samantha Gee. 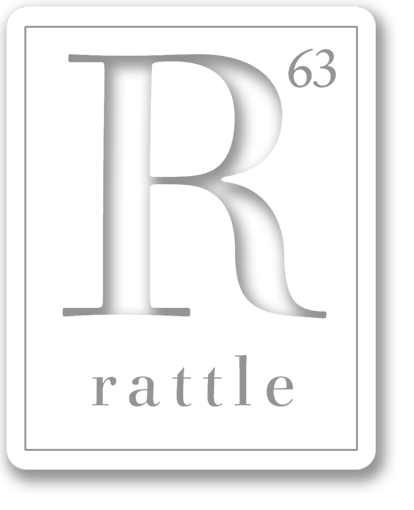 “After Cleaning the Kitchen Again, He Realizes” was written by Rosemerry Wahtola Trommer for Rattle’s Ekphrastic Challenge, July 2017, and selected as the Editor’s Choice. Don’t look in the sink for happiness. cleanest sink is still only a sink. Don’t look in the cupboards. is a place we’ve danced before. from the empty green vase. were the lovers in this space. No matter how clean the counters. No matter how soft the breeze. It’s us, my love, it’s us that’s missing. It’s us that we most need.